Hello! This week at Topflight Stamps we are focusing on stamps from Katzelkraft. 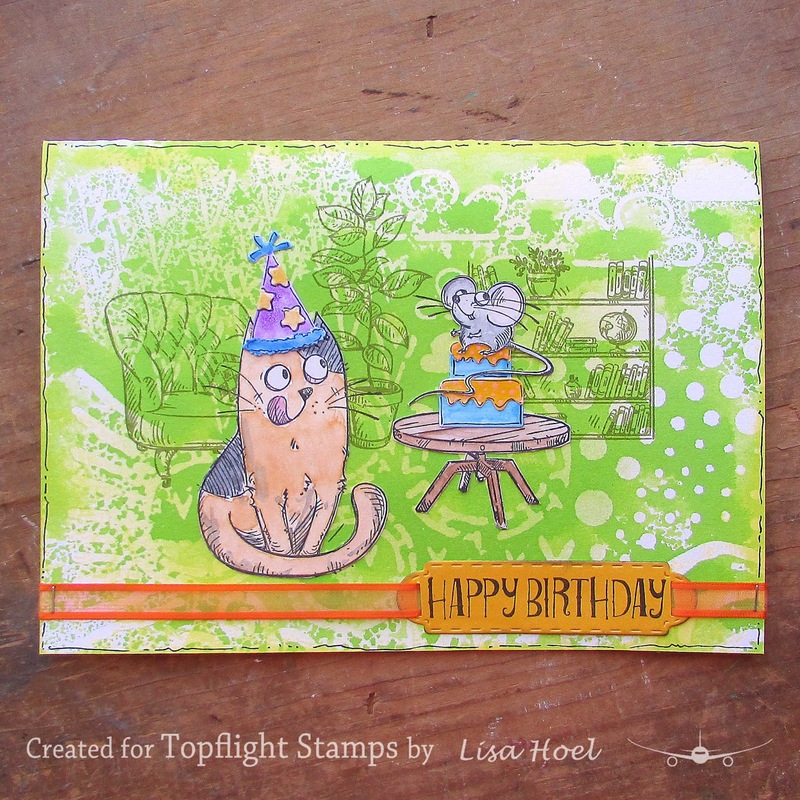 I love the cat stamp set and it was perfect to make a whimsical birthday card for my little nephew. I first sprayed mist through the Clouds & Hearts stencil and then stamped the furniture pieces in the background. 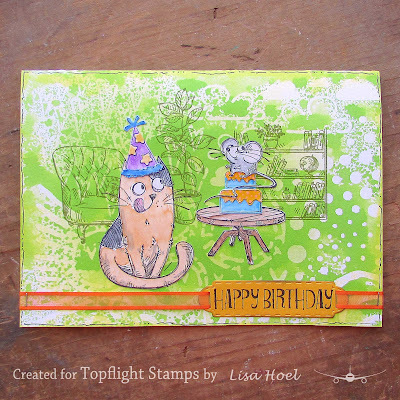 The cat, table and mouse I stamped and colored on another piece of paper and then fussy cut them out. Cactus Pincushion on the AJVD Blog!